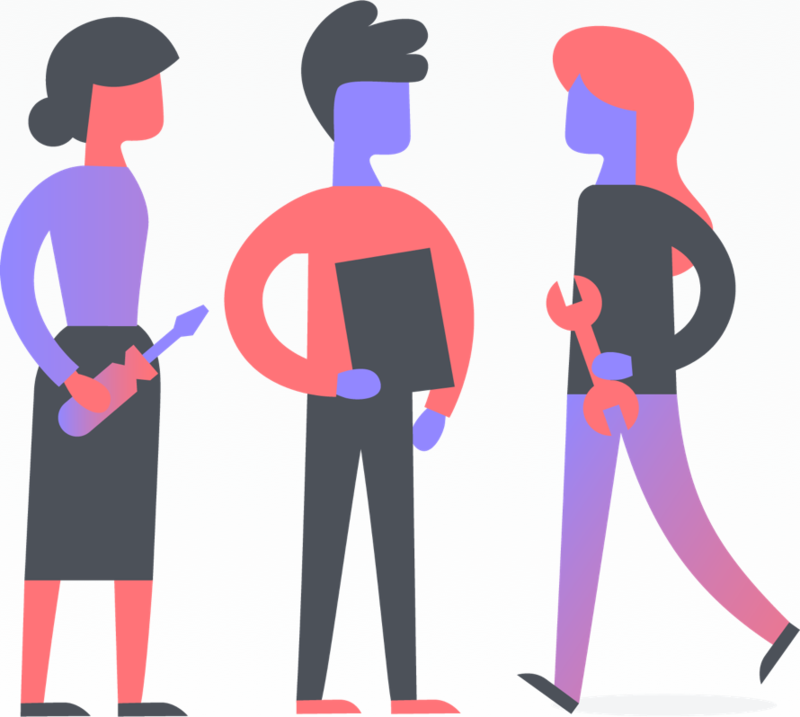 After you’ve held your kickoff meeting and your entire team is ready to start using Asana, it’s time to send invites and add them as project members and task followers. 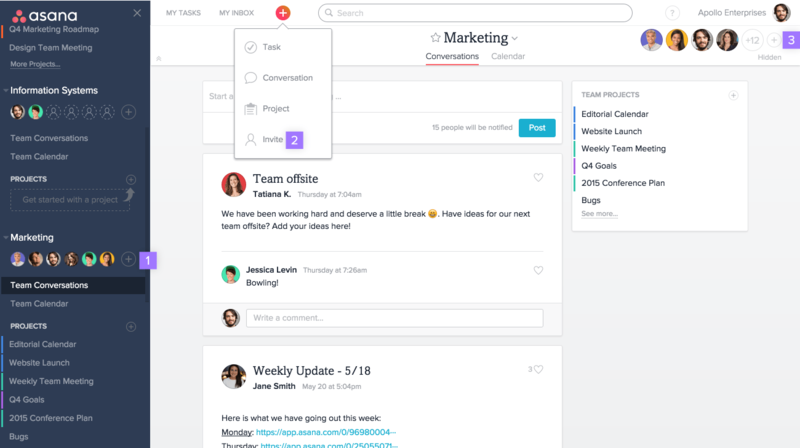 If you and a smaller group of teammates already tested out Asana, make sure your projects and tasks are organized for the rest of your teammates to start tracking work in them. Or just follow the steps below to get Asana ready for your team. Save time by starting with one of our templates to get up and running in a few clicks. Create a meeting agenda for your next team meeting. Look at our ways to use Asana for specific tips and best practices for all types of projects. Or, create your own custom template so your team starts a project with the same process every time. Click the + button under your team’s name in the sidebar, and type in their email. Click the orange + button in the top bar and select Invite. Click the + button in your team page’s header. You can access this by clicking Team Conversations from the sidebar. 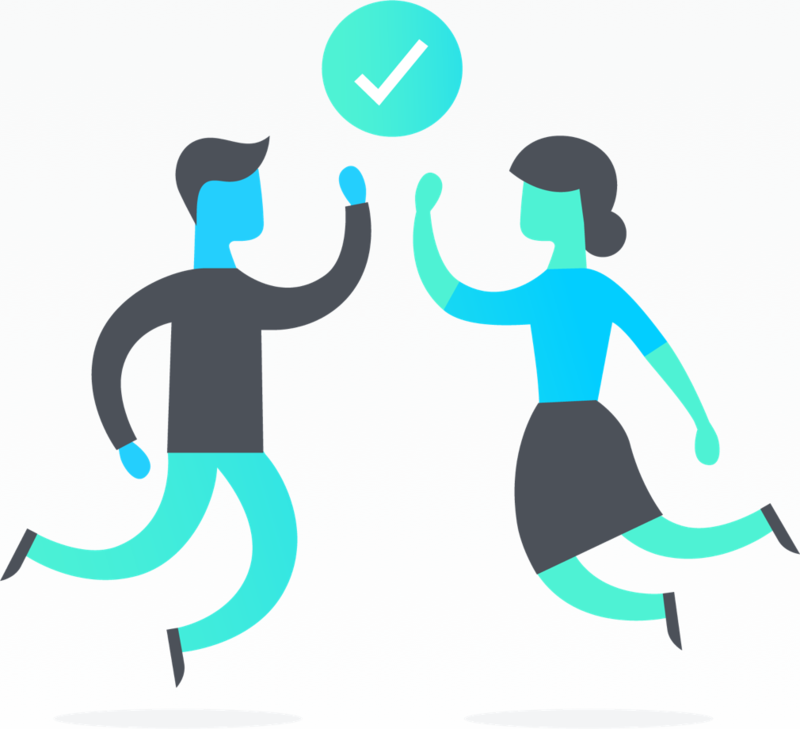 Create a task and type in your teammate’s email as the assignee to trigger an invite. Once they’ve created an account, you can invite them to projects and teams, or have them explore and join on their own. If you don’t want new project members to modify anything in the projects you’ve invited them to, give them comment-only access. You can change each person’s settings on a case-by-case basis. Once you’ve introduced your teammates to Asana and invited them to projects, you should also add them as followers on relevant tasks. Adding task followers is similar to cc’ing people on an email. Every time you add comments to these tasks they’ll get a notification in their email and Asana Inbox. You can add followers by typing Tab + F in any task and typing a teammate’s name, or by clicking the + button at the bottom of the right pane. 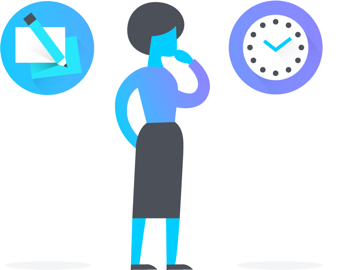 Once you and your teammates feel comfortable with Asana Inbox, you can eventually turn off email notifications. From our experience, your teammates will probably have questions about Asana during the first week, but they should quickly get the hang of it after that. We suggest making yourself available in the first week or so as your teammates get familiar with Asana, in addition to sharing resources. Create an “Asana questions” project where teammates can assign you tasks with any questions about using Asana. The onboarding checklist helps those new to Asana learn the basics so they can jump right in and learn features by using them. The Asana Guide (what you’re reading now! ), provides best practices for using Asana. We recommend having them read quick start so they can get up and running quickly. 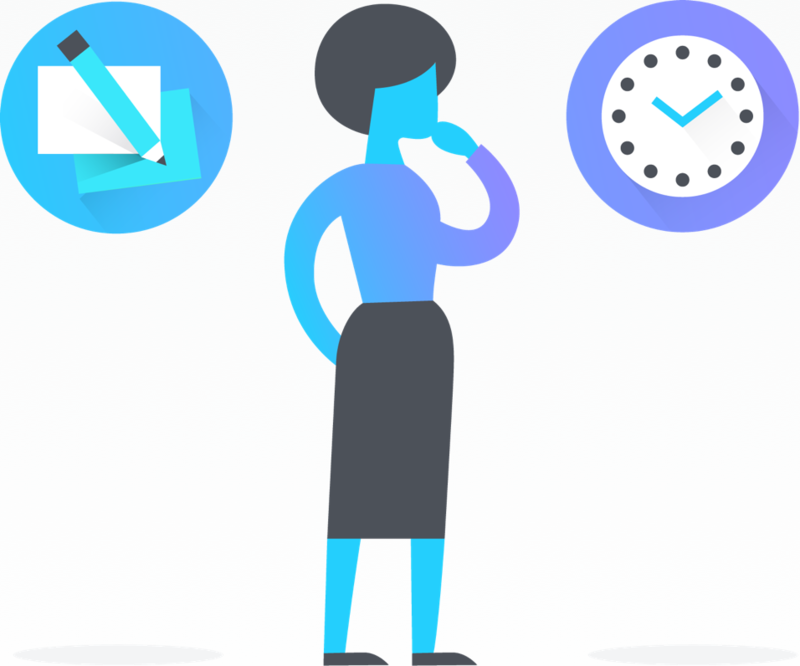 Asana Academy has in-depth on-demand courses that teach you project management best practices, how to be more productive, and use Asana like a pro. Register today. Asana lessons are short slides that show you the most important features and workflows to get you up to speed on how to use Asana in 15 minutes. Asana videos show you how to get started and give you a product tour. Follow along with our How to Asana videos. We post new videos every other week. Have your teammates follow along with our easy onboarding checklist. Once everybody is using Asana, set aside time to revisit the time frames and commitments you set in your Asana kickoff meeting to make sure everybody is on board. Use the check-in to assess what’s going well, and what still needs clarification. 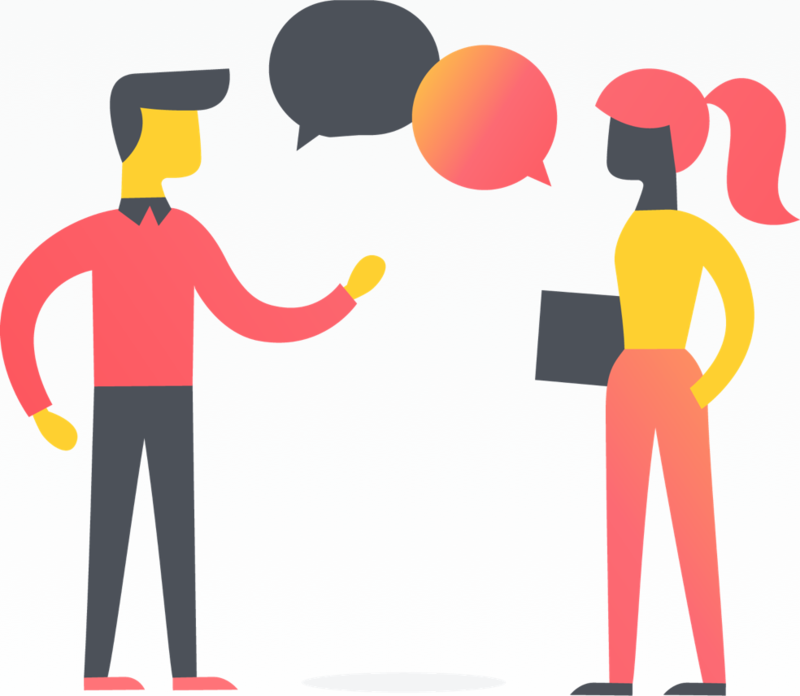 Check out our moving communications to Asana article to help you answer common questions and share tips to help your team feel confident using Asana. 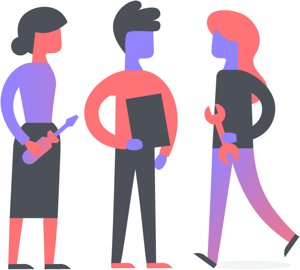 Spending the time with your team to get started in Asana quickly pays off as you track work efficiently, communicate more effectively, and do great things together. Manage virtual team communication better with Asana by keeping conversations in context with work and moving away from emailing everything.